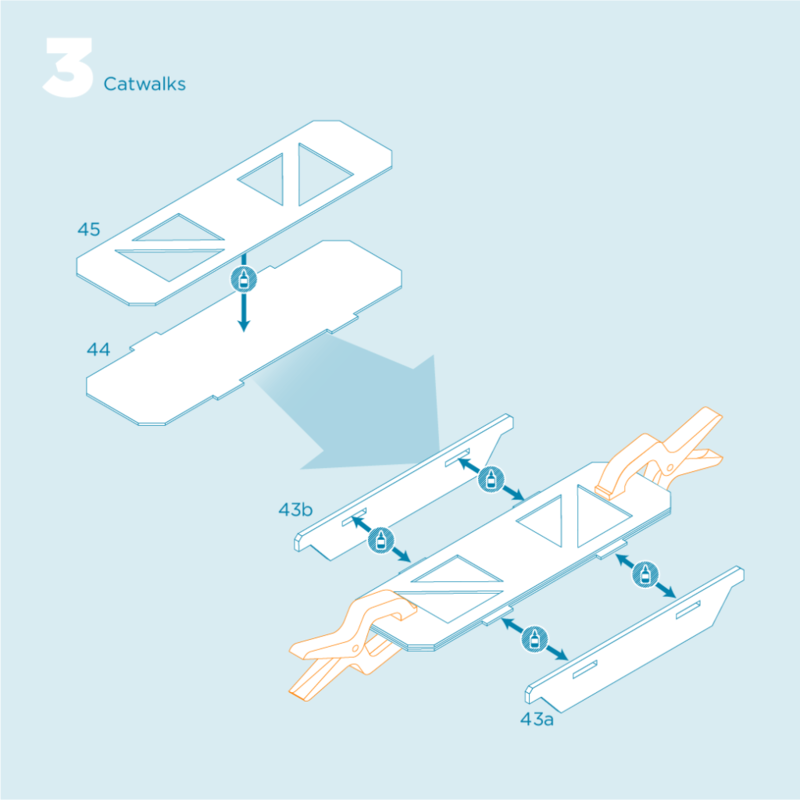 There are 3 sizes of ladders on your sheets that all assemble in the same way. 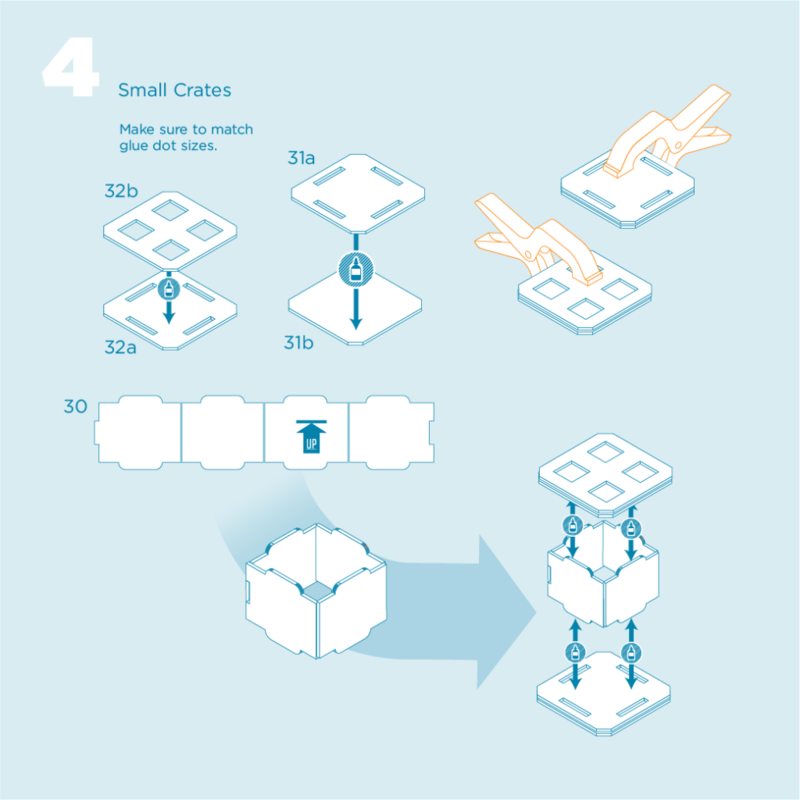 Please see TIPS & TRICKS video for the most effective assembly method. 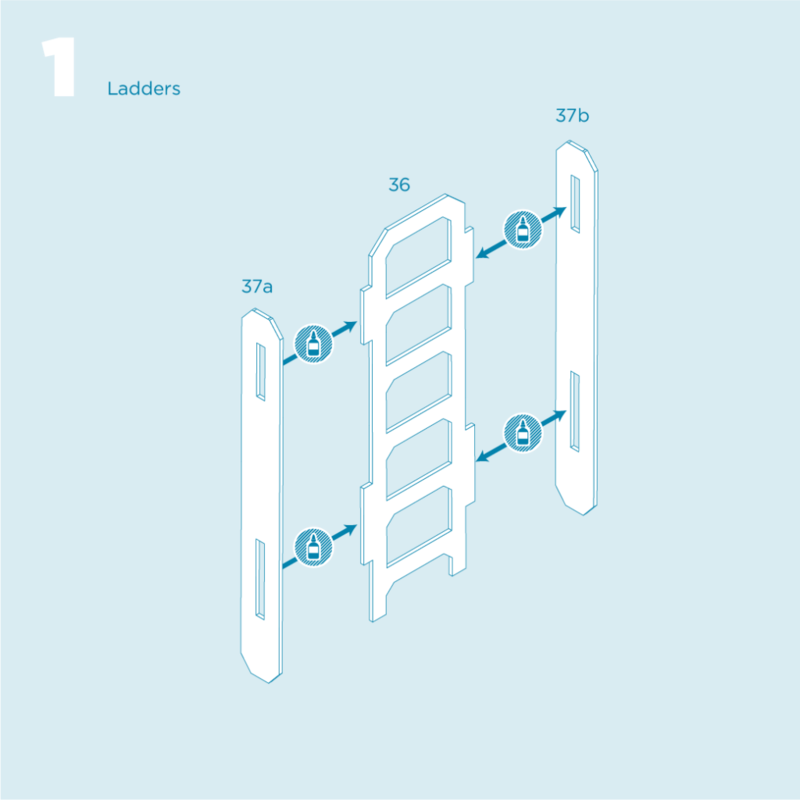 When attaching side pieces to the ladder piece, insert tabs into slots on the front rolled edge face of the side pieces. Make sure that doubled up edges are aligned before drying. Glue pieces 27 & 28 together first and let dry. 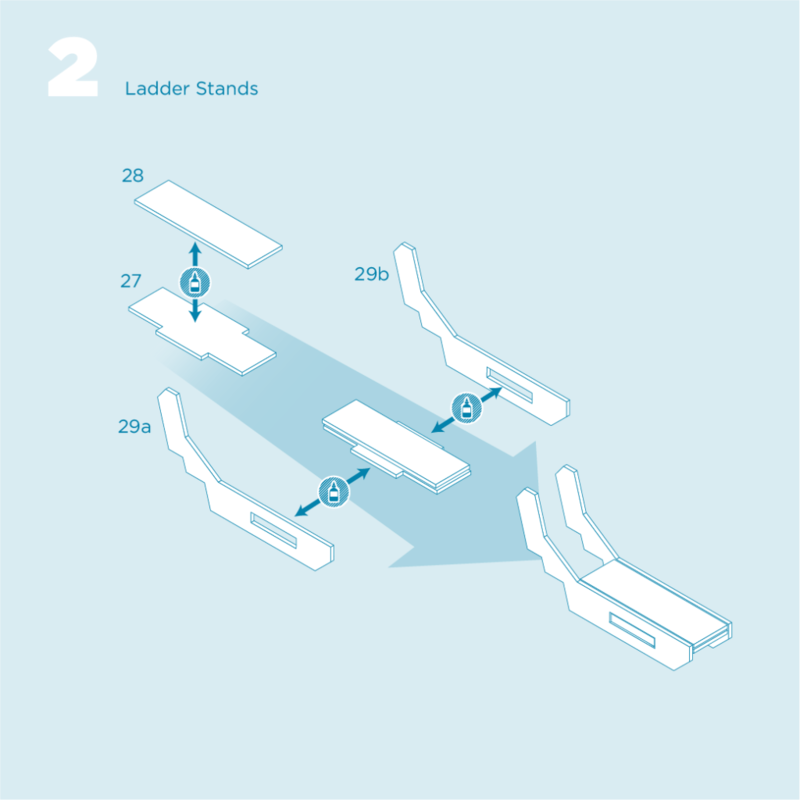 When attaching pieces 29a & 29b, insert tabs into slots on the front rolled edge face of the side pieces. Make sure side pieces are straight up and down before drying. Glue pieces 44 & 45 together first and let dry. When attaching pieces 43a & 43b, insert tabs into slots on the front rolled edge face of the side pieces. Glue pieces 31a & 31b as well as 32a & 32b together first and let dry. On piece 30 ensure all scores are crisply and evenly folded. Copyright © 2019 TinkerHouse, Inc. All Rights Reserved.